Windows provide more than just an opening in the building’s structure for lighting or indoor ventilation. In many cases, windows are vital components of the building’s visual appeal, as well as an integral part of a structure’s architectural significance or historic value. When deciding whether windows need repair or replacement, it’s important that you and your contractor evaluate these factors in addition to the condition of the windows. It’s common for windows to deteriorate over time and through exposure to the elements. In many cases, a fresh coat of paint or re-caulking around the glass is enough to restore the window. Always approach a project with the intention to fix the windows. Only after you or your trusted contractor determine they’re beyond repair should you replace them. Are the windows historically, architecturally or visually significant? If so, a more concentrated effort to preserve and repair the windows should be made. Are the windows actually damaged or deteriorated beyond repair? Window glass can be easily broken, internal balances and components can be lost, and frames and casings can warp, shrink or be otherwise damaged. But these issues may not be enough to justify scrapping existing windows and replacing them with modern ones. It may be to your benefit, and the benefit of the remodeling project, to take the extra effort to repair and renovate older, unique or visually appealing windows. Customers who need a general contractor in Newton, MA can turn to Sage Builders LLC for professional residential design, construction and renovation services. 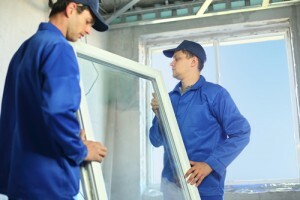 Contact us today for more information on how to determine if your windows need repair or replacement.